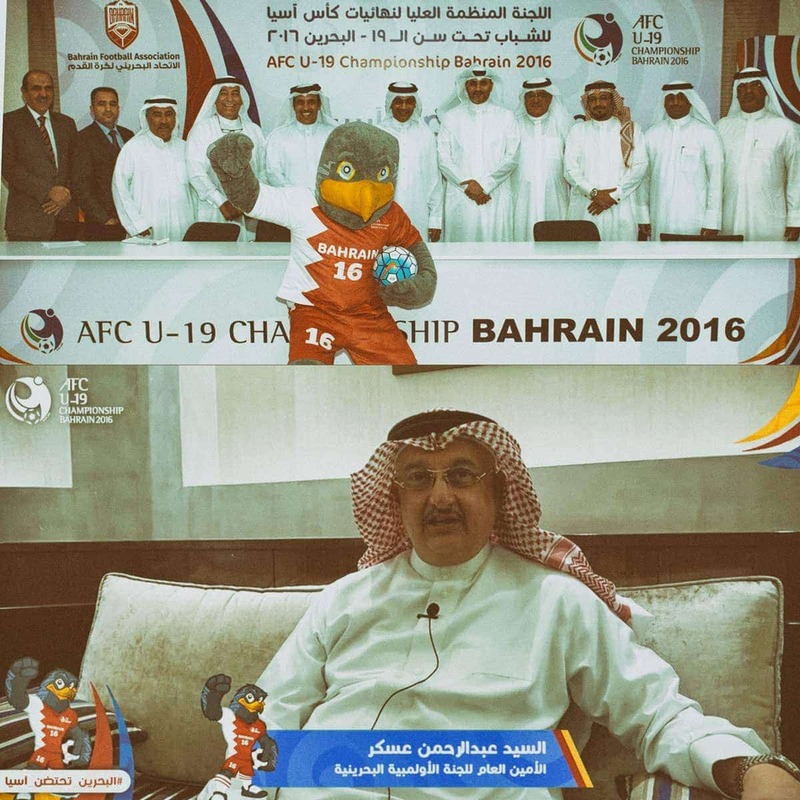 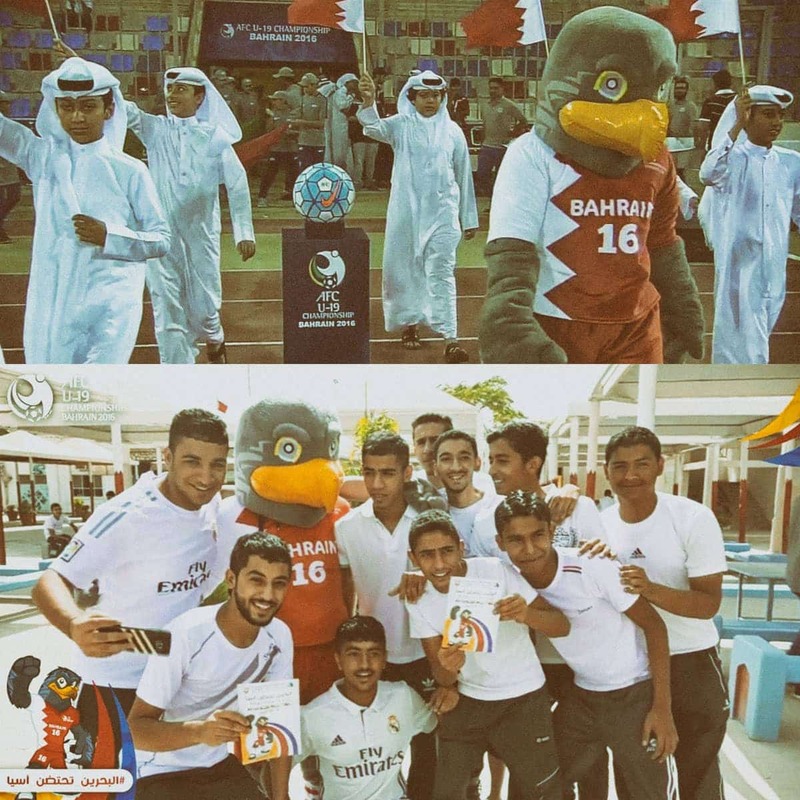 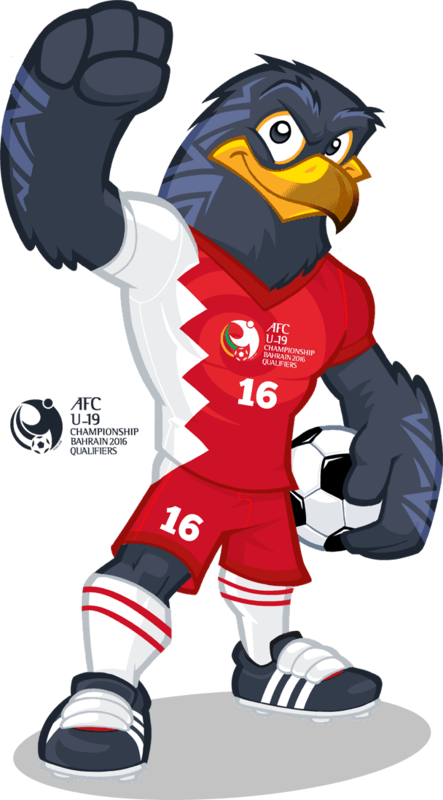 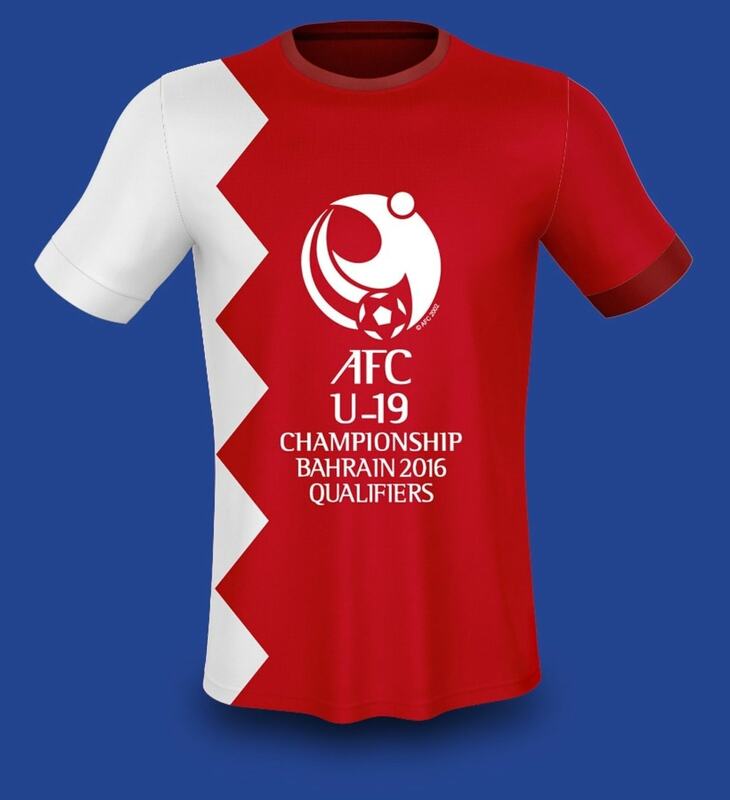 Another Sport Mascot Design I created for the Asian Football Confederation, U19 Football Championship in Bahrein 2016 qualifies for World Championship U20 of 2017. 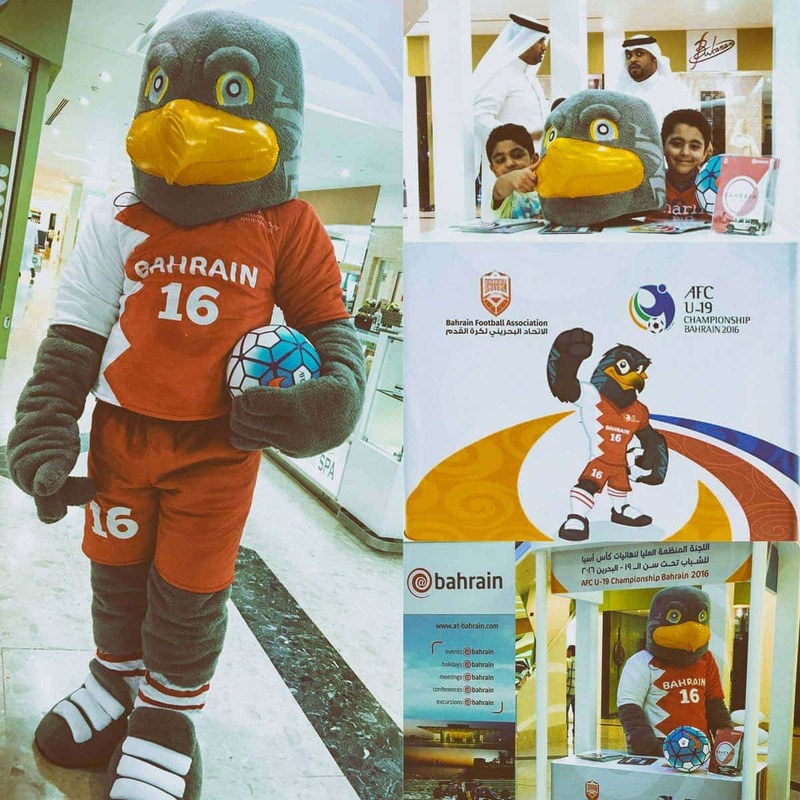 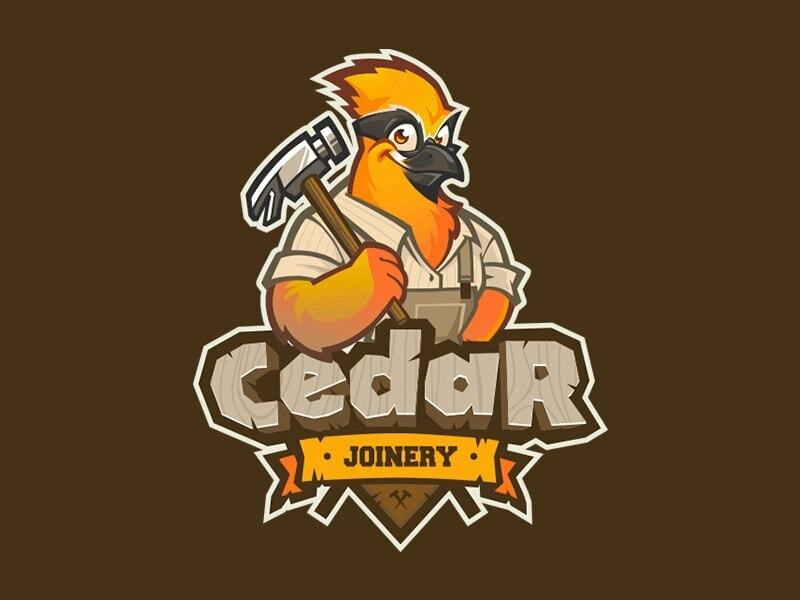 Really fun project that I hope open the doors for future clients on this niche, I love creating Sport Mascot Designs that become real life characters. 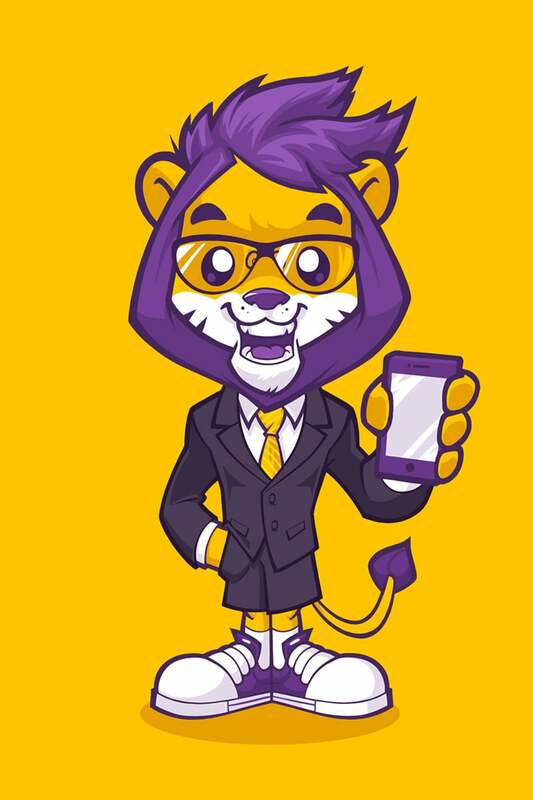 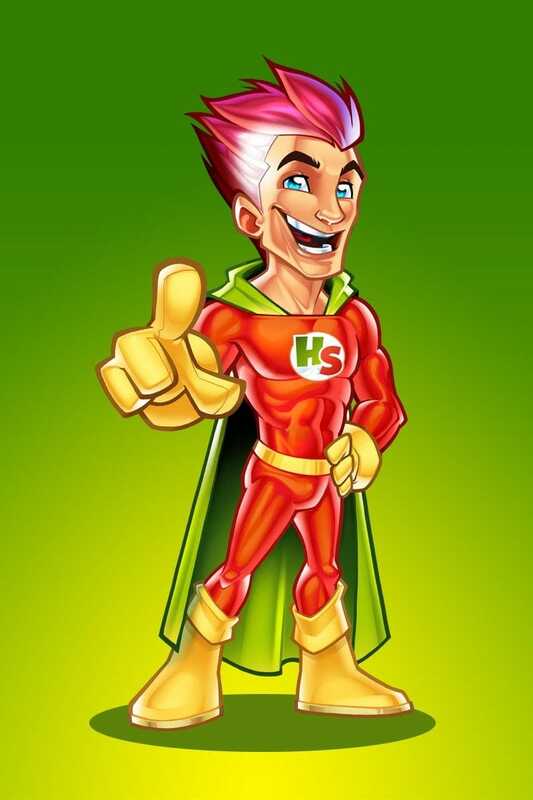 After the client fills a brief with some key questions that helps me to understand the scope of the project, I create a first sketch, then I make unlimited corrections -within reason- based on the client’s feedback, until we find the perfect mascot character. 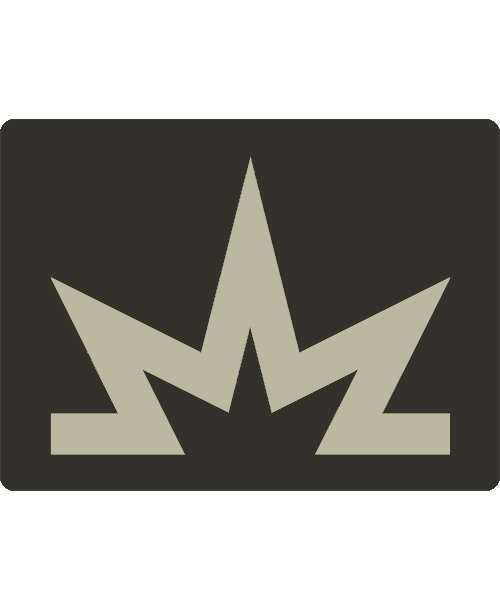 Once the concept is approved I proceed with the final rendering. 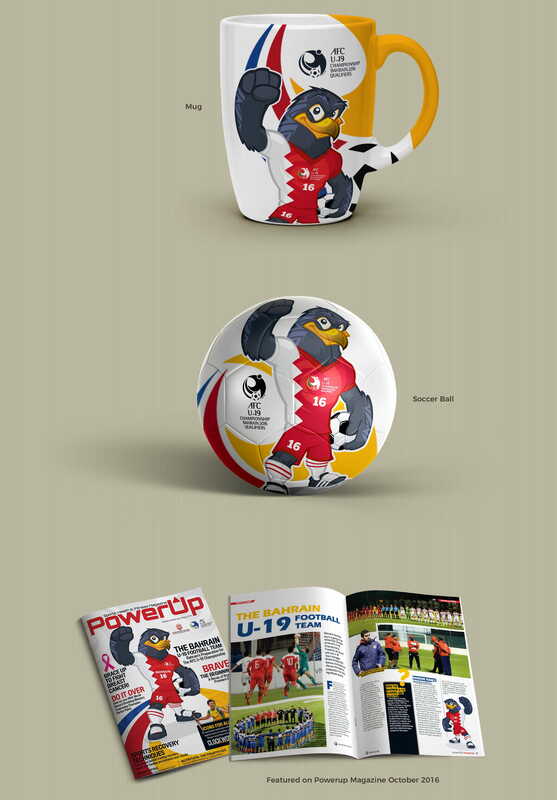 Once the designs are finished I offer professional mockups to show the client how the design will look in the real world. 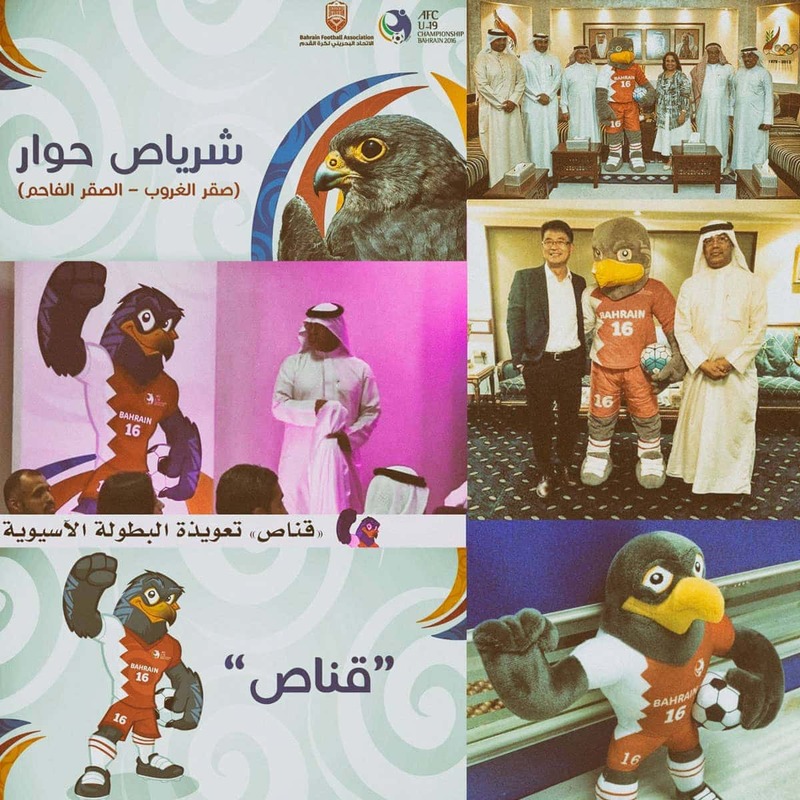 Once the character design was approved the guys at Design Arabia looked for a manufacturer that create the sport mascot costume.